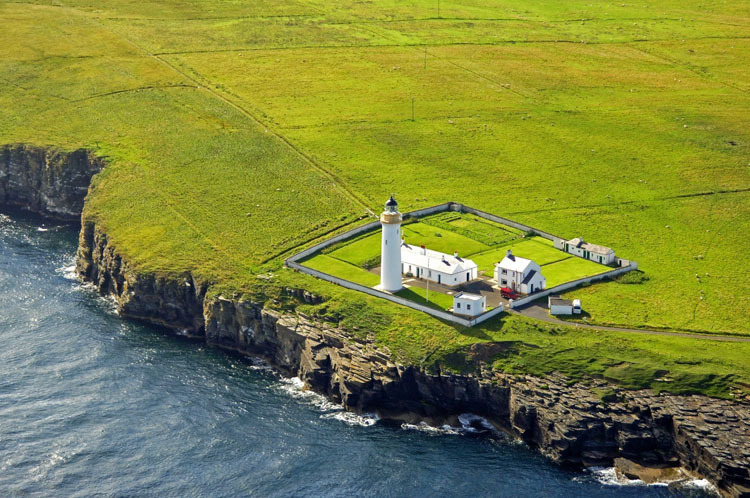 This lighthouse is situated at Longhope on the southeast cost of the Island of Hoy. It was automated in 1992. A fog horn was established in 1913 but this was discontinued in 1987. Cantick Head Lighthouse, light keepers cottages, sundial pedestal and outbuildings are all historically graded. The two 2-storey keeper's houses and other light station buildings, enclosed by a stone wall and have been converted as self catering holiday accommodation. 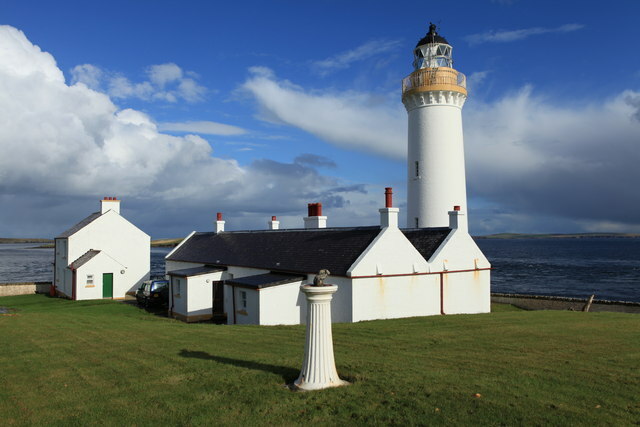 The island and lighthouse is accessible via car ferry from Houton or Stromness on the Orkney mainland.